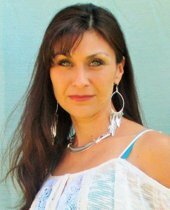 I was licensed to sell Real Estate in 1995 and have lived in San Juan County for most of my life. I have raised my children here and believe it is a great place to live. Working with many home buyers throughout the years has been a great pleasure. I get to know the clients and their needs and work towards finding the right home for them. Best of all I get to know families, not just clients. I will work with you step by step throughout the home buying process to closing on your dream home.